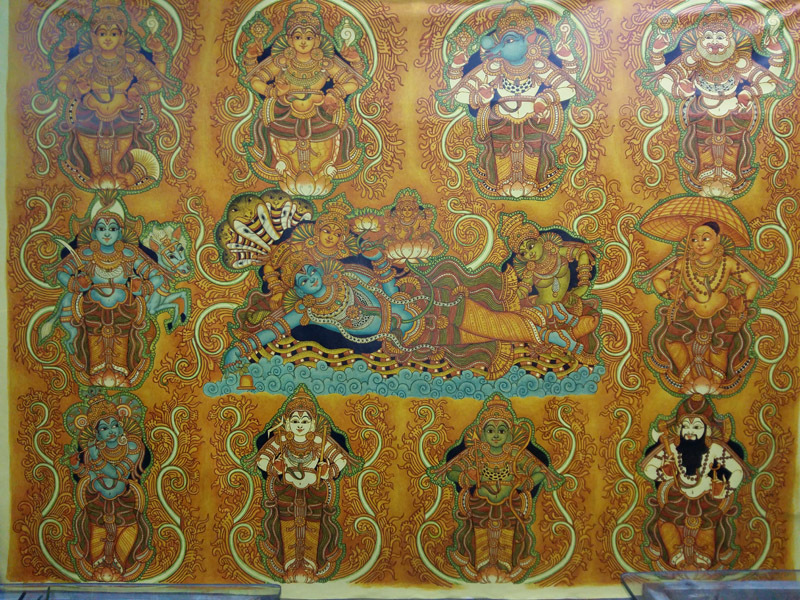 Vishnu’s ten avatars in a single canvas – traditional Kerala Mural. 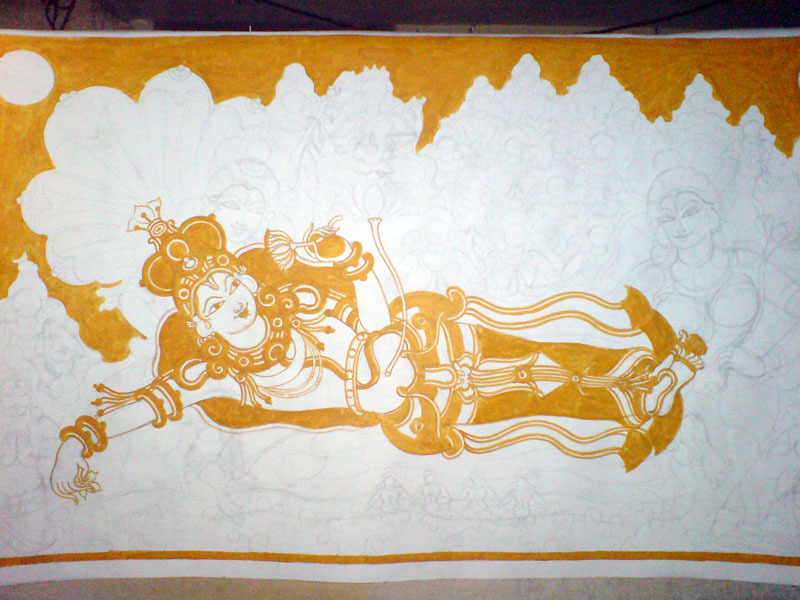 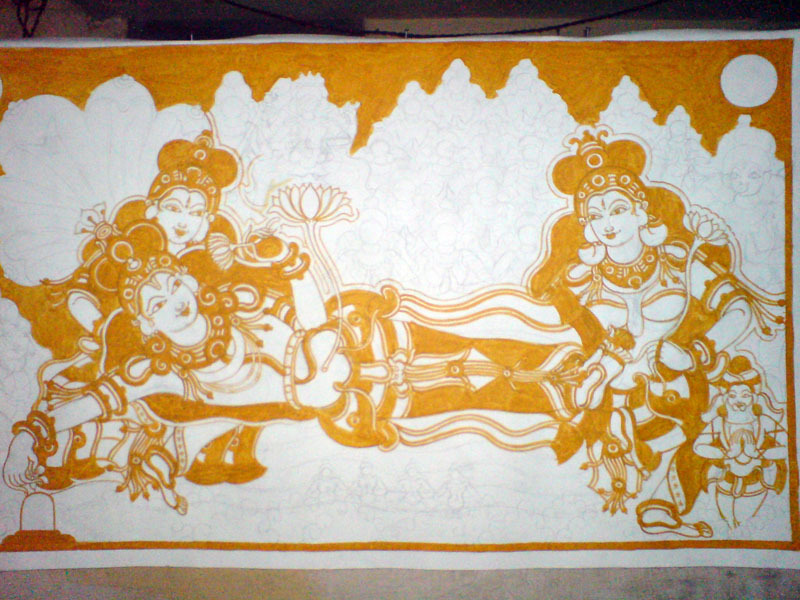 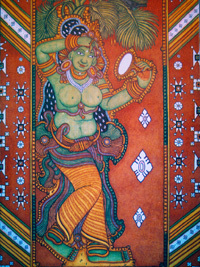 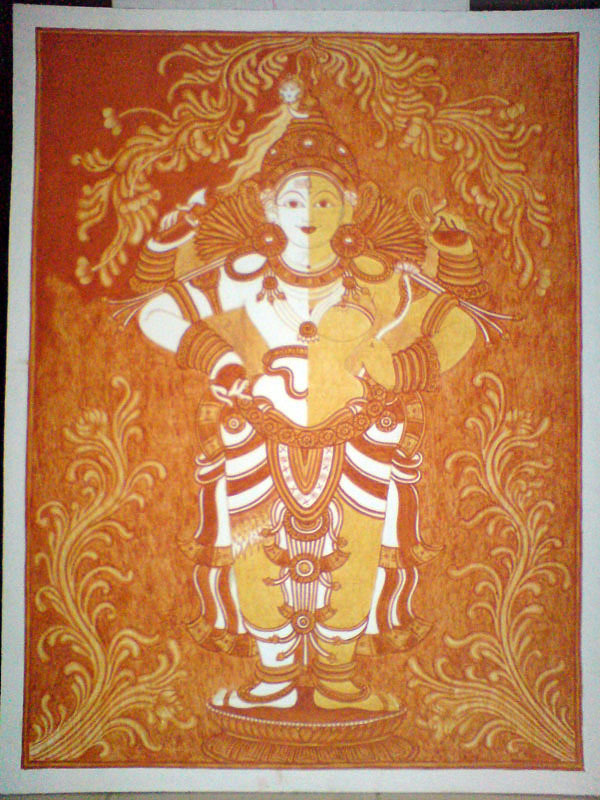 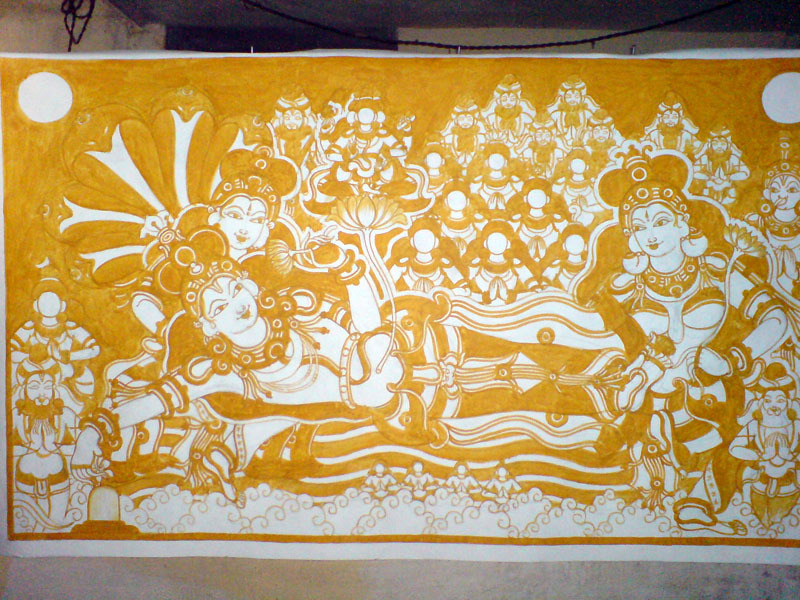 Naveen’s work at the Kariattukkara Bhagavathy Temple, Ayyanthole, Thrissur. 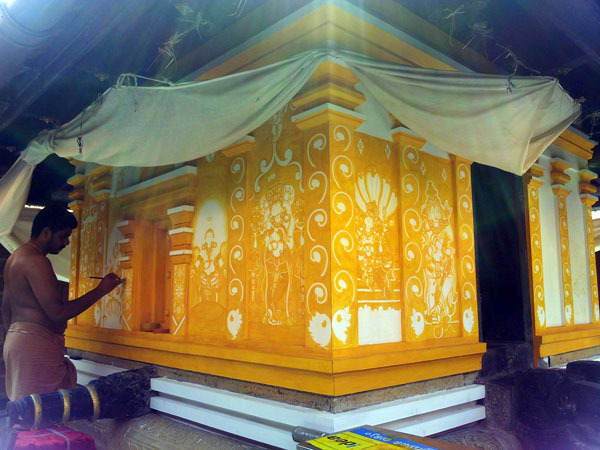 Naveen at Work – Mahaganapathi Vattom Temple, Sultan Bathery, Wynad. 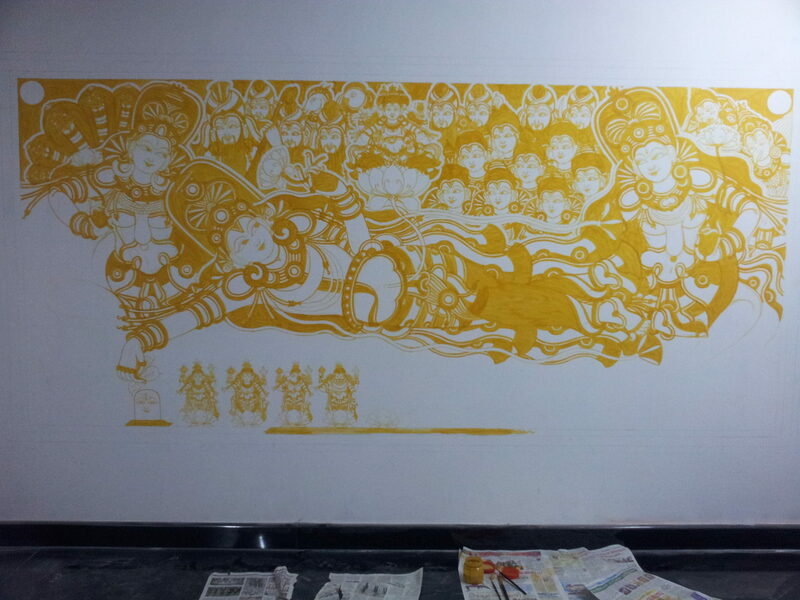 If I wanted to buy this mural, can you please let me know size and cost? 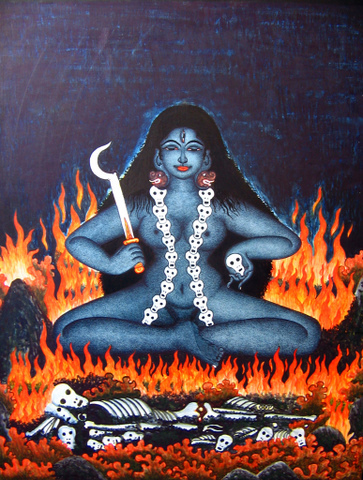 Sorry for the delayed response Rajeev, please contact Naveen directly on his handphone – the number’s available on the About page.